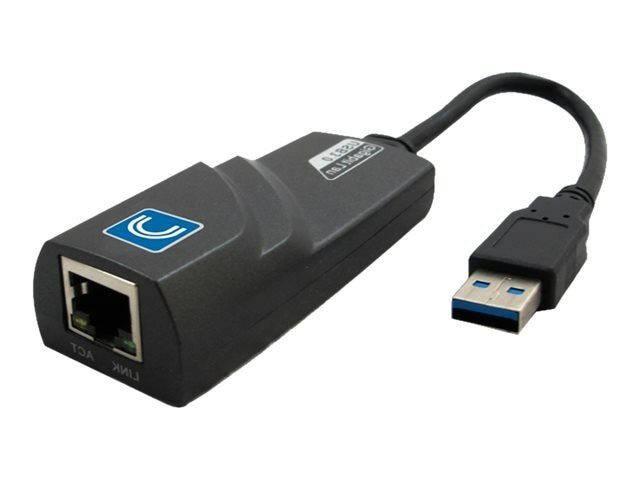 The USB3-RJ45 USB 3.0 to Gigabit Ethernet adapter adds a single RJ45 ethernet port to a USB enabled computer system, with support for Gigabit network connections at full bandwidth, unlike USB 2.0 adapters. This compact USB 3.0 network adapter is backward compatible with older USB 2.0/1.1/1.0 computer systems (speed limited by USB bus), making it the ideal portable replacement network adapter or laptop accessory. The USB 3.0 graphic adapter allows you to easily connect extra monitors (TV) to your laptop or desktop without extra graphic card. This device successfully makes it real over taking display limitation.